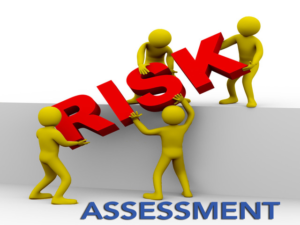 Business Risk Management is the identification, assessment, and prioritisation of risks followed by coordinated and economical application of resources to minimise, monitor, and control the probability and/or impact of unfortunate events or to maximize the realisation of opportunities. Risks can come from various sources: e.g., uncertainty of income, internal controls, threats from project failures, legal liabilities, recruitment of staff, accidents, government interventions / policies, regulations, success, pupil attendance, parent feedback, pupil numbers, Ofsted, data, and so on. Services for Schools understand the Risk management as a logical process or approach that seeks to eliminate or at least minimise the level of risk associated with your School. Essentially, the process identifies any type of situation that could result in damage to any resource including staff, skills and knowledge, then take steps to correct factors that are highly likely to result in a negative impact. Services for Schools can help you meet your statutory and moral obligations by conducting risk assessments to ensure you are safe and secure at your surgery and that your risk assessments are suitable and sufficient. Such documents should all be working documents and not just “dust gatherers”. They must be relevant, up to date, monitored, regularly reviewed and recorded. Services for Schools are here to provide you with the solutions. This can range from the provision of policies and procedures to production of individual assessments and the establishment of central databases. Working in partnership with you we can provide a comprehensive Health and Safety Risk Assessment advice and guidance service ensuring not only a safe and secure working environment and compliance with your statutory obligations. Do you know if you are following best practice (HSG65) and providing a safe and secure working environment? Are you concerned that your current systems may not be as effective as they should be and/or that you may not be meeting your statutory and moral obligations? Let Services for Schools work with you to review, report and advise on those systems and obligations and get you up to speed. Identification, elimination, minimisation and/or management of risk are fundamental in managing health and safety. Working with you Services for Schools will Identify hazards associated with your School and the workplace; assess your working environment for potential risk and report on the severity of those potential risks; assess what controls are in place and their effectiveness; suggest a pragmatic and prioritised action plan for addressing the hazards and potential risks based on good practice and current legislation. In doing so Services for Schools will enable you to ensure you have suitable and sufficient as well as up to date and dynamic risk assessments at all times. For example: Fire Risk Assessment, Building Safety, Lone Working, Personal Safety, COSHH systems, Workplace Safety, Hazards.